When houses are cleared, belongings are sorted and items redistributed, sewing paraphernalia seems to be overlooked. 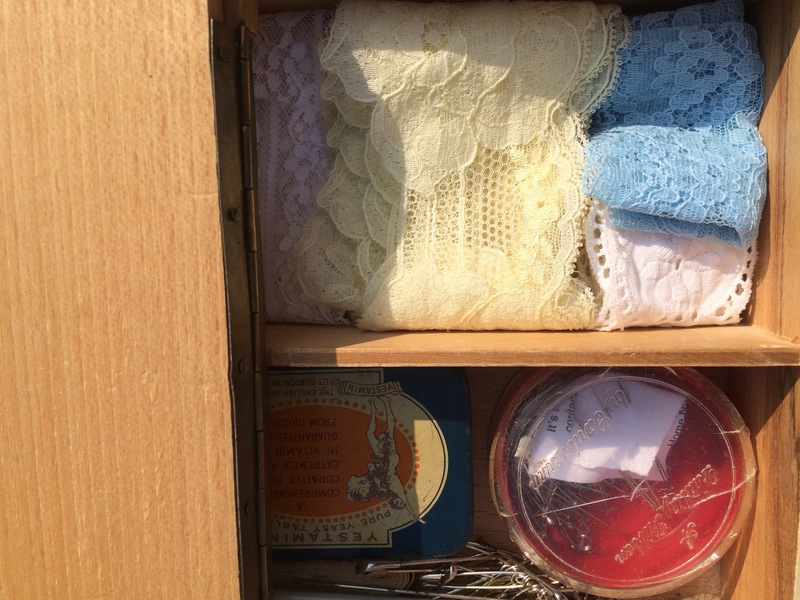 Low intrinsic value is the most probable explanation, but to me, an individual’s sewing kit/box/basket is quite a personal item. I’ve acquired two or three previously, courtesy of relations or family friends, but this one was bought from an antiques shop in Ripley, Derbyshire. 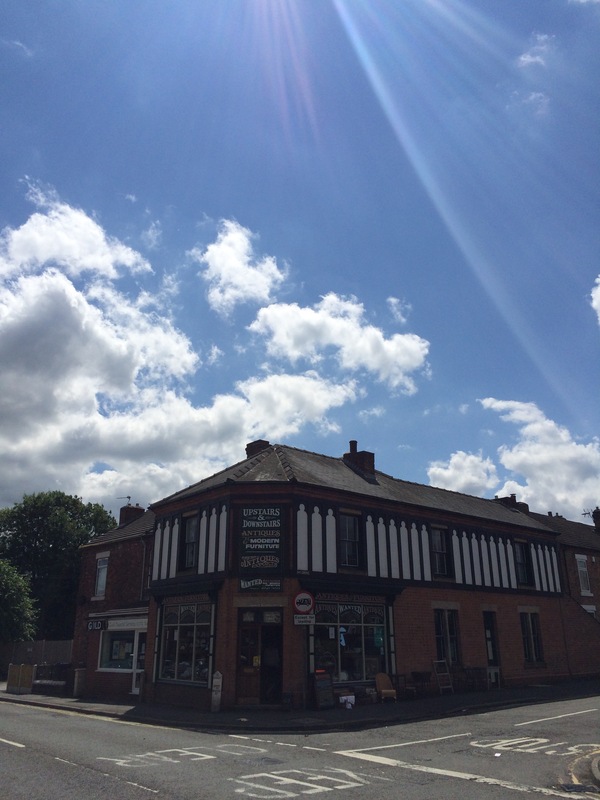 My only association with the place is that my grandad (born 1920) came from Ripley. 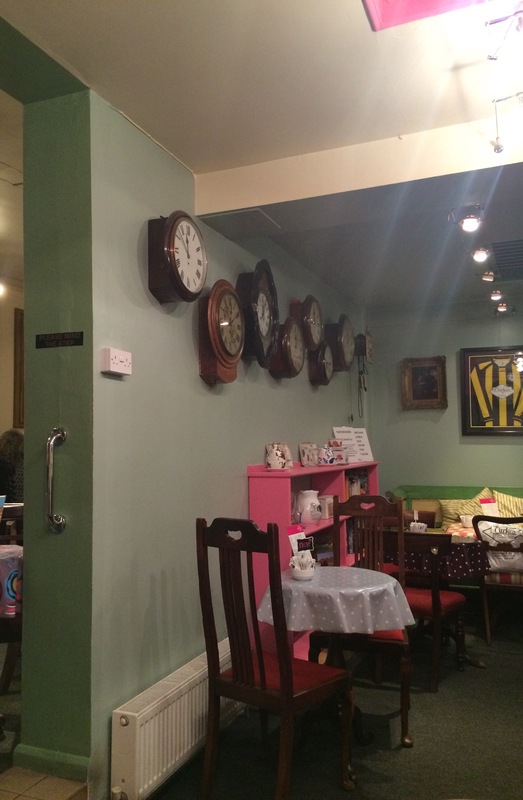 I called last Saturday as my mum assured me the small town centre department store cafe served homemade scones. As we were about to leave town, I spotted an antiques shop, and something made me cross the road and park up again. 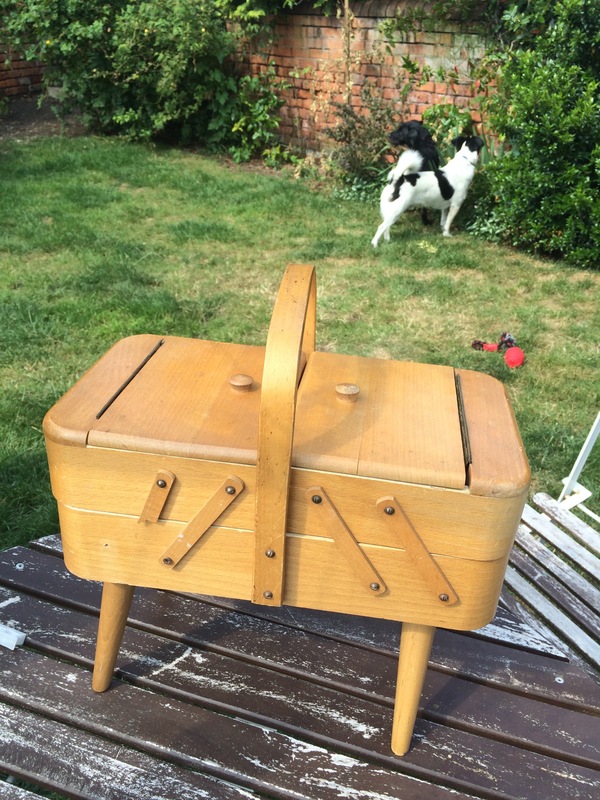 The wooden sewing box was the first thing I spotted. As I began to open the compartments I saw the contents were still intact. The lady from the sho ventured outside and advised me it would be £10 for the sewing box, and a further £3 if I wanted the bag of knitting needles and patterns beside it. Inside I spotted some pretty postcards, set in frames that were completely wrong but that didn’t detract from their appeal. I found one set of three, then another. As I went to the cashpoint my mum found an inscribed cigarette tin that had the look of prisoner of war art. 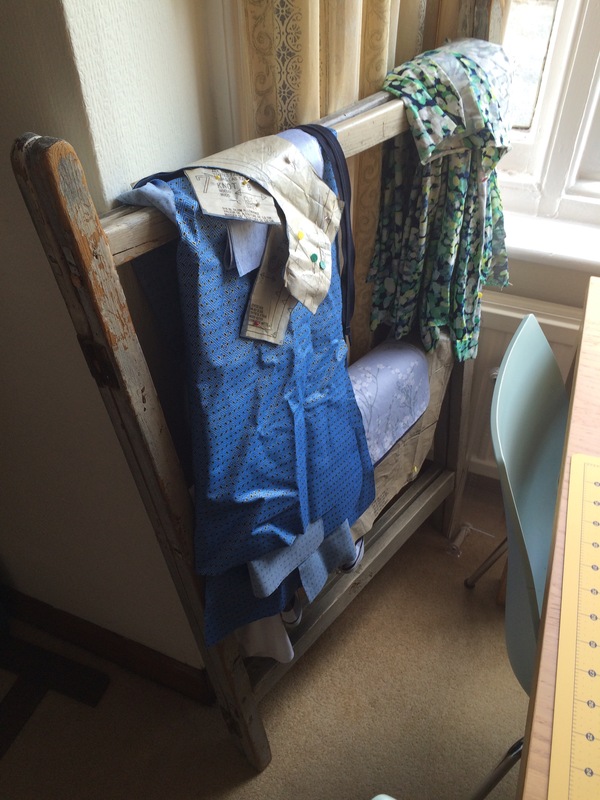 I’d also glanced at an old and shabby clothes airer. After a little bartering, I handed over £30 for the sewing box, the 2 sets of framed cards and the airer, swiftly followed by another £2 for the cigarette tin. A very fair price, I felt. I quickly put the airer to use in my sewing room, as a way of storing my WIPs rather than piling them on a dining chair. 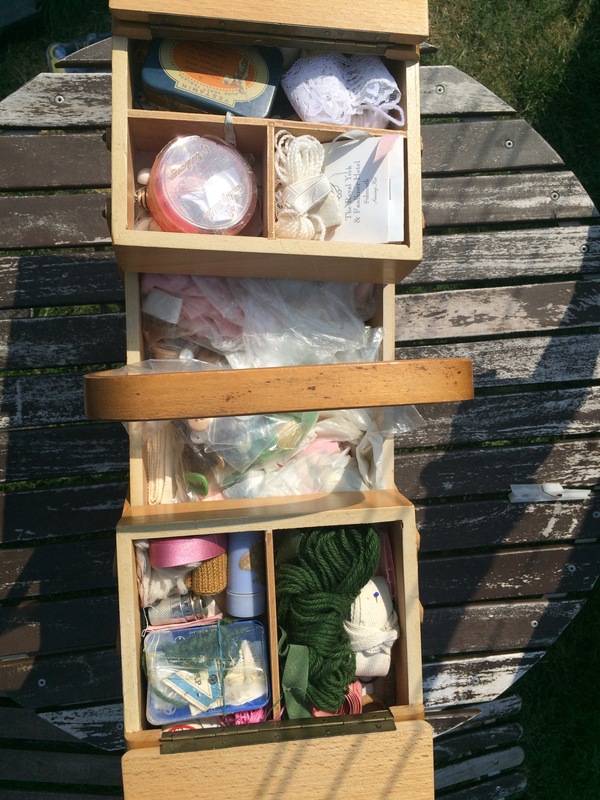 The sewing box was slightly damaged, but filled with sewing paraphernalia. The contents appeared untouched since the last time it was used. 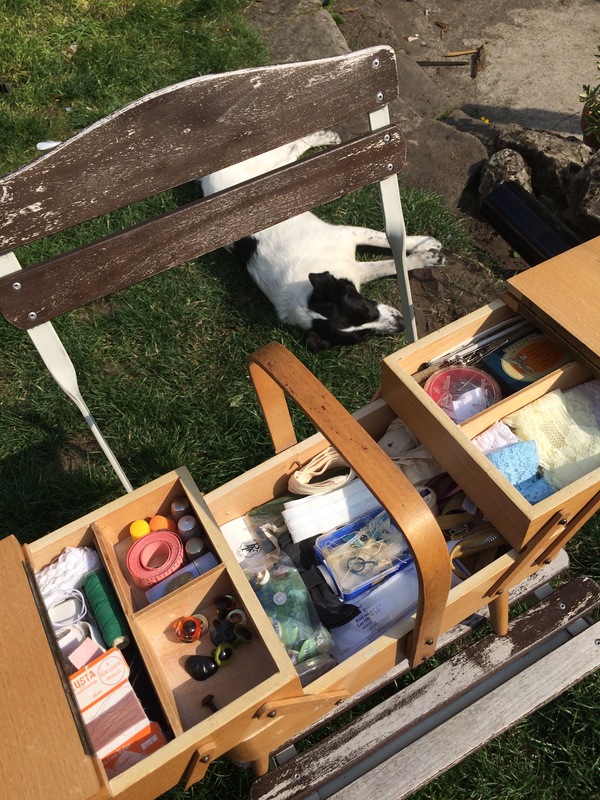 On a sunny Sunday afternoon, I settled down outside to sort through the contents. When looking at something like this, certain (slightly morbid) thoughts frequently cross my mind. 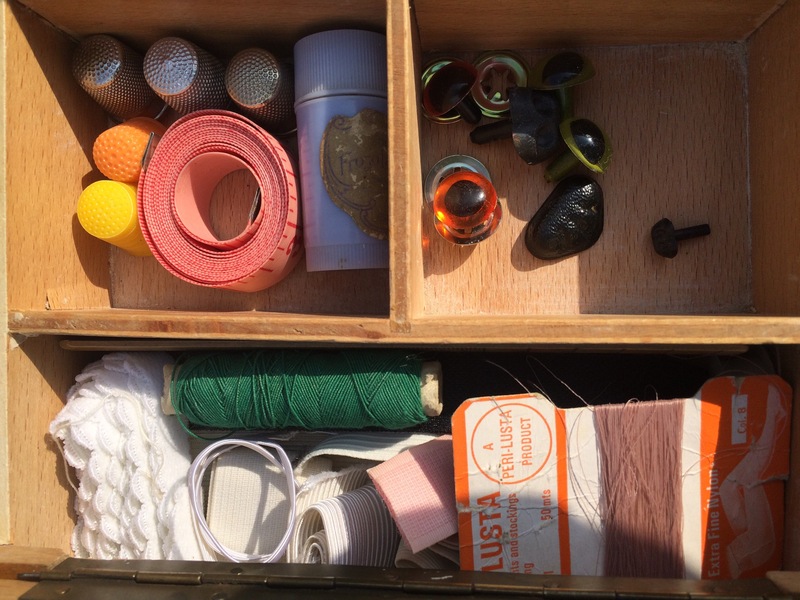 When was the sewing box last used? Did the owner (presumably female) realise it would be the last time? Why didn’t her family want to keep her possessions? The box was full – jam packed. Threads, fabrics, tools and equipment, odds and ends, spare buttons and scraps of cloth and ribbon. A collection of inexpensive items accumulated over many years. I was ruthless. If I didn’t like it, need it, didn’t deem it to be old or quirky enough to be seen as ‘vintage’, it didn’t make the cut. 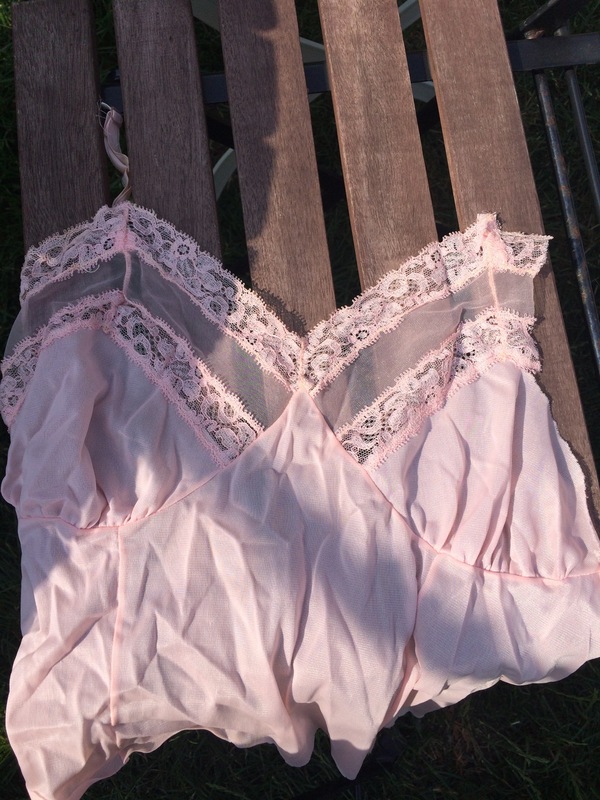 The make do and mend mentality was particularly obvious when I came across this piece of underwear, partially chopped into and clearly saved because of the pretty lace detail. Other items also harked back to a time when items weren’t disposable and repairs were necessary. Eventually I made a discovery that pleased me. Perhaps the original owner didn’t just darn stockings and repair ladders in tights. In the top right compartment, shown above, is a small selection of glass eyes and black plastic noses, surely meant eventually for stuffed toys. 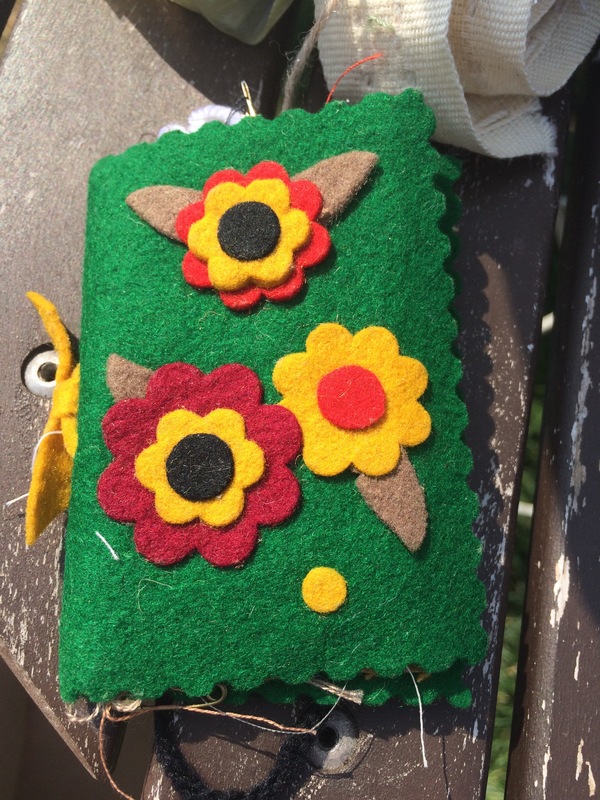 It would be lovely to know what she made, and to who she gave them. I’m guessing that’s who the bow tie belonged to or was destined for, too. Anything rusty, broken, discoloured or frayed was disposed of. I was especially pleased to find some pretty sections of lace, and some funky retro buttons. Once everything had been removed and investigated, I gave the box a shake and a wipe, then organised the items back into place. Oliver helped. For now, the sewing box stands on the side in the sewing room. I like the style, as well as knowing that all of the items inside are clean and usable. It’s upcycled though not repurposed, and crucially, it’s not landfill. It does make me a little sad that the owner at some time probably made teddy bears and other soft toys, but that wasn’t reason enough for family to want to keep the box. It pleases me however that the box and many of it’s contents will live to serve another purpose. What a treasure of a find..something that maybe one day you will be able to pass on! I love those boxes, I’m glad you snapped it up. I confess I always go to the charity shop in the hospital my parents use as I’ve found lots of sewing treats there over the years. Never such a beautiful boys though. My best find was a cache of belt buckles. Box, not boys. Bloody autocorrect! Wow, what an absolute treasure box! Thank you for sharing! What a lovely sewing box. I’m sure the owner will be please someone who loves it finally has it and that you’ve been thinking about her. Even if she doesn’t, we live on in other’s memories, so although yours isn’t strictly a memory it is allowing her to live on a little. Well, I’m very envious at such an interesting and useful discovery! I also love rooting through junk shops and charity shops for vintage paraphernalia. My mother recently handed over an entire carrier bag full of vintage lace trimming that I must sort through and organise. I agree with you that they are very personal items! 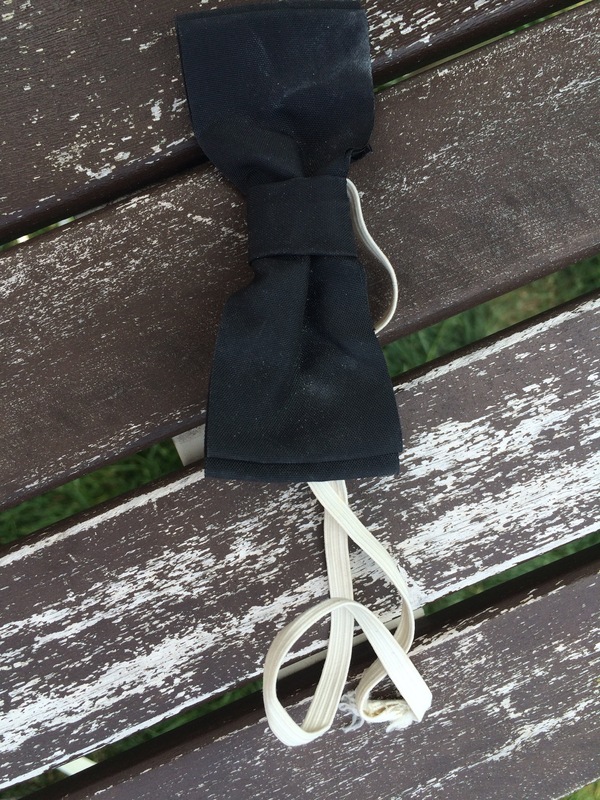 I have bought a couple on Ebay – it made me feel as if I was going through an unknown woman’s handbag! I have quite a collection of sewing boxes now, and have been very strict with myself about buying anymore. I think it is to make up for the loss of the sewing box my Gran gave me when I was far too young to appreciate it! Ooh you had a great deal here! Isn’t it finally looking through other people’s stuff?! 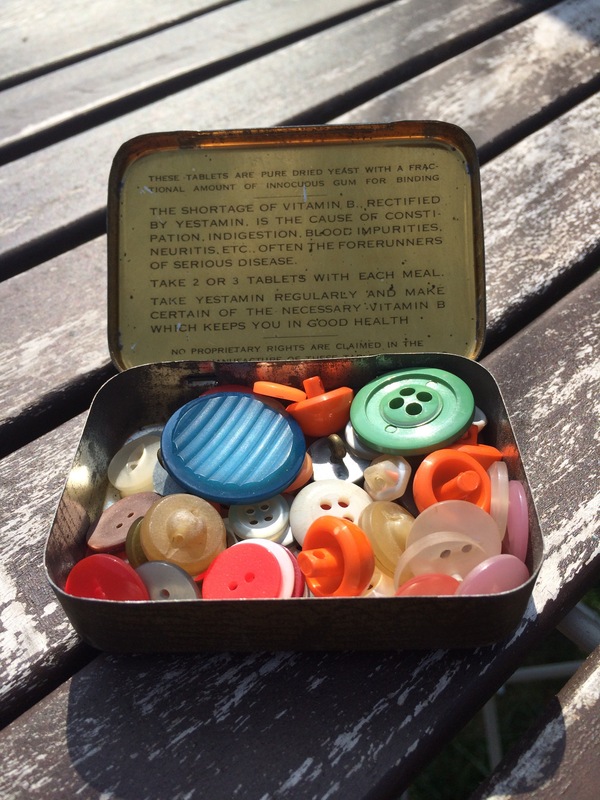 I especially love those buttons in the old tin. What a bargain! 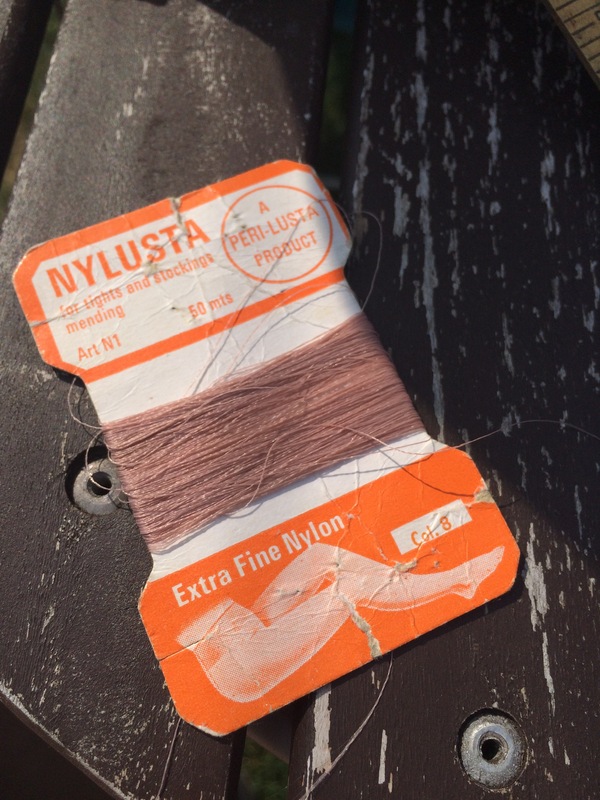 Haha who mends tights nowadays… We sometimes don’t realise how good we have it now! The buttons are great aren’t they?! I know, the thought of mending in any sense beyond sewing a button on seems so old school doesn’t it? !